Postpartum sitz baths are traditionally used to sooth and comfort the pelvic region where there may be swelling, cuts and tears as well as hemorrhoids. They may be done one or several times a day for the first 10 to 40 days, depending on the postpartum needs. The sitz bath is prepared for you and instructions will be provided for future sitz bath on your own. A cup of warming spice tea is also included. Herbs and gems are custom blended and are included with the bath price along with extra herbs for 2 additional baths. 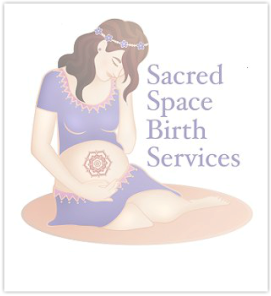 It can also be used after the 13th month postpartum if the moon cycle ( menstrual period) has not returned or to support fertility and healthy menstrual cycle. The steam bath is prepared for you and instructions will be provided for future steam baths on your own. A cup of warming spice tea is also included. Herbs and gems are custom blended and are included with the steam bath price along with extra herbs for 2 additional steam baths. A full body warm bath for you and your baby, with custom blended herbs and crystals. The bath is soothing and restorative, and supports the bodies natural healing process. Relieves tired muscles, sore perineum and can assist in recovery from *c-section. Spiritually, the bath washes away the birth energy and begins the process of preparing baby and mother for integration/reintegration into society. Herbs and gems are custom blended and are included with the full body bath price along with extra herbs for 2 additional steam baths. * For c-section recovery, this bath should only be done after initial healing of the scar has taken place, usually between 4-6 weeks after birth or upon the recommendation of your Obstetrician. To enjoy the benefits of an herb & crystal bath sooner, we recommend the herb & crystal foot bath.